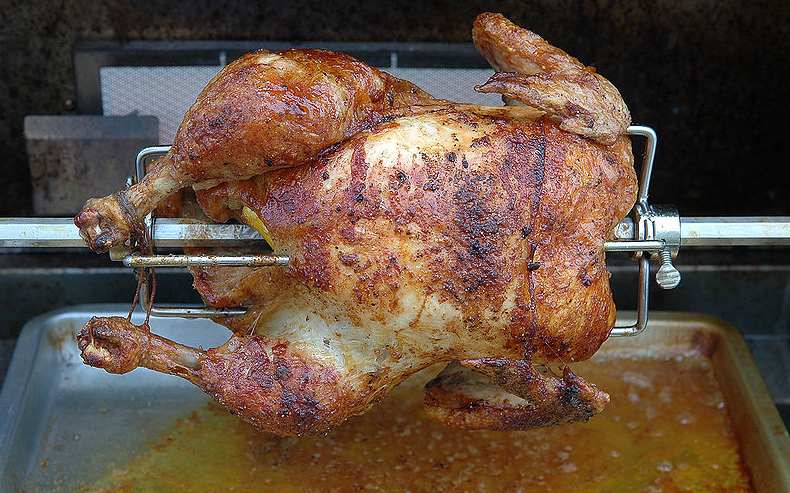 In our previous posting How to Properly Roast A Chicken, we described how roast a chicken so that the skin is crisp and the meat stays moist and tender. The easiest seasonings for a roast chicken are either salt and pepper or a pre-mixed seasoning such as McCormick Season All. Both work well and you'll get a wonderfully flavorful chicken. However, with just a small amount of additional work, you can kick this recipe up one notch and create Lemon Roast Chicken. The trick is to use slices of a condiment called preserved lemon. You place slices of the preserved lemon peel under the skin of the chicken prior to roasting; the lemon infuses the meat with a wonderful lemony flavor that is a totally different take on roast chicken. To do this, you just cut the preserved lemon peel into thin slices and slide them under the skin covering the breast, legs and thighs of the chicken. Start by lifting up the skin on the breast and pushing the preserved lemon pieces under the skin on the thighs with one finger. Then do the same for the legs and finally the breast. Roast using the same method described in our prior posting. You should rub a little olive oil, salt and pepper on the skin for this recipe as well but go lighter on the salt because there's lots of it in the preserved lemons. So What Is Preserved Lemon? 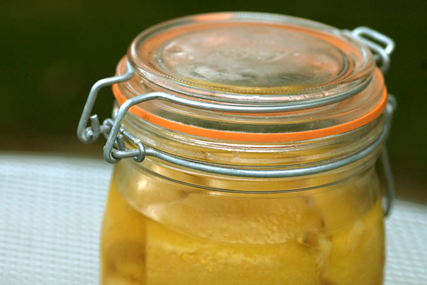 Preserved lemons are a condiment used frequently in North African cooking - particularly in dishes from Morocco. They are made by preserving the lemons in salt which gives them an intensely lemony flavor that is also surprisingly mild. Truly, you have to taste them to understand how unusual and delicious they are. While it's possible to buy preserved lemons in a specialty grocery stores, it's madness to buy them when you can make them so easily at home. Once made, they will keep in the refrigerator for up to one year and can be used on chicken, fish, and even in soups. Blanch the remaining 6 lemons in boiling water for 5 minutes. Remove and let cool. When cool enough to handle, slice the lemons into wedges, discard the seeds and place into a bowl. Add salt to the bowl and toss the lemons to cover them. Tightly pack the lemons and salt into a jar and completely cover with the lemon juice. Let sit out on your counter at room temperature for 5 days. Shake the jar once per day for 5 days. Add the olive oil and refrigerate. Give preserved roast chicken with preserved lemons a try. We think you'll be surprised how amazing this dish tastes and it's so simple! 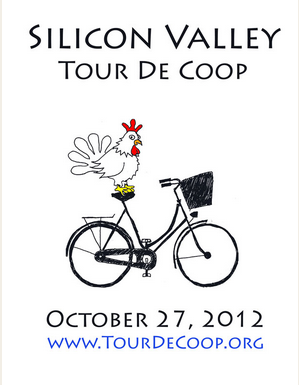 The first annual Silicon Valley Tour de Coop, a self-guided bicycle tour of chicken coops and gardens, is happening this Saturday -- October 27, 2012 from 9 AM to 4 PM. Eleven amazing coops, gardens and urban homesteaders in Palo Alto and Los Altos, California will impress viewers with their coop designs and share their joy of backyard chicken farming. Come See Us At the Tour! 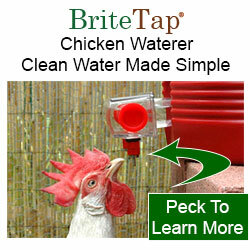 Chicken Waterer.com, maker of the BriteTap Chicken Waterer is pleased to sponsor this exciting event. 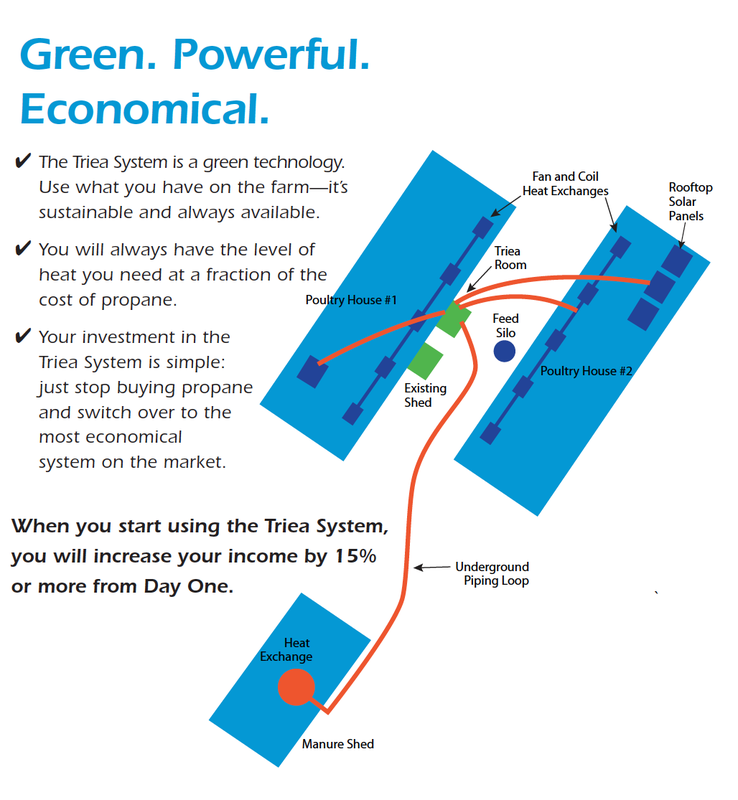 The BriteTap will be on exhibit at the "Coop De Plume" at 440 Sequoia Avenue, Palo Alto where tour participants can ask questions, see the BriteTap in action, and buy one for their own coops if they so desire. 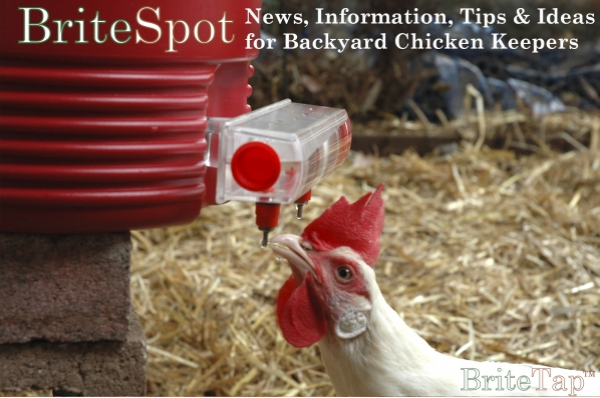 The BriteTap waterer will be shown at an unmanned display in the "Brewer Coop", 33 Lyell Street in Los Altos. For more information about the event, see the Silicon Valley Tour de Coop web site. Consumer's buying chicken in the grocery store have a wide range of choices including: "free range", "organic", "fresh", "no antibiotics" and increasingly, "air chilled." Air chilled chickens are still fairly uncommon in the U.S but they are increasing in popularity and are making there way to some of the fancier supermarkets. So what is "air chilled" chicken and is it better? After chickens are slaughtered they need to be rapidly cooled in order to keep bacteria levels to a minimum. The U.S. Department of agriculture requires that chickens be cooled to 40 F within four to six hours. Typically, this is done by immersing the chickens in a bath of chlorinated ice water. Many studies have shown little difference in pathogen levels between water immersion and air chilled chickens. From the perspective of a consumer, perhaps the most important reason to prefer air chilling is that they are said to taste better. Chickens processed using water immersion absorb water from the bath. This can account for anywhere between can 2-12% of their final weight at the supermarket. The additional water is said to negatively effect the flavor of the meat and the ability of the skin to crisp up in the oven. In an article published on September 1, 2012, Cook's Illustrated Magazine showed taste test results for various brands of whole chickens available in grocery stores. Eight large national or regional brands were purchased at supermarkets, seasoned lightly and then cooked. The two brands that received the highest marks among testers were Mary's Free Range Air Chilled and Bell & Evans Premium Air Chilled. We routinely purchase Mary's Air chilled chickens and do find that they taste better. 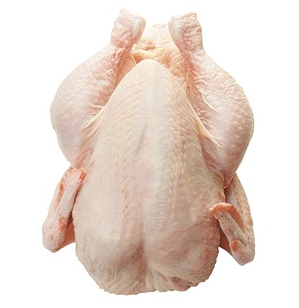 If you have tried air chilled chicken, let us know your opinion by posting a comment. 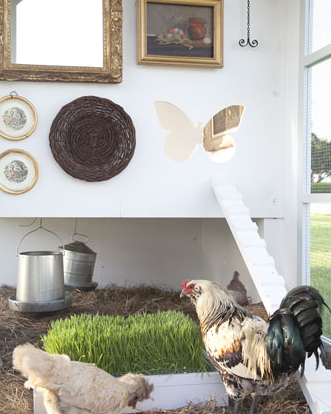 This coop in Kannapolis, North Carolina takes chicken coops to a new place. 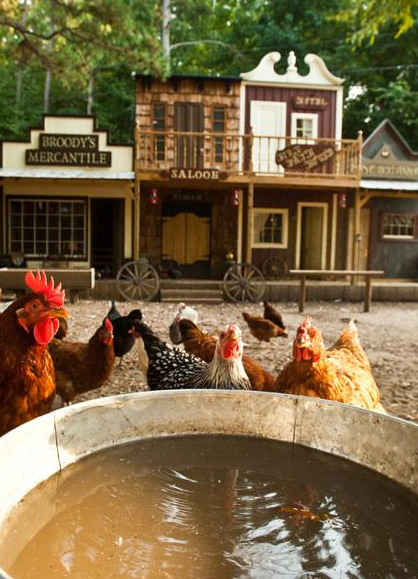 It's really more like a town for chickens and looks like something that would have been built during the gold rush. 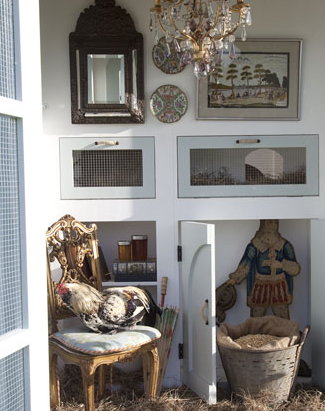 Feast your eyes on this wild west chicken coop. Now that's a chicken coop, partner. Regular readers of this blog may recall that a few days ago I reported on a $210,000 chicken coop under construction in England. Well here' another jaw-dropping coop made here in the USA. 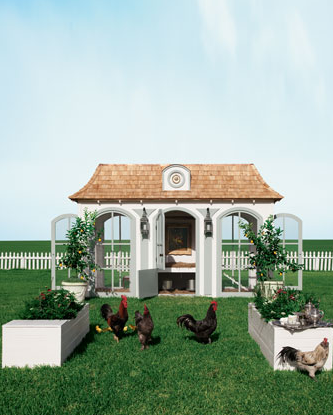 Neiman Marcus, the upscale department store, is selling a $100,000 "mini-farm" that can accommodate 10 chickens. The $100,000 price tag includes an on-site consultation with the designers and a selection of ten hen breeds based on your needs. 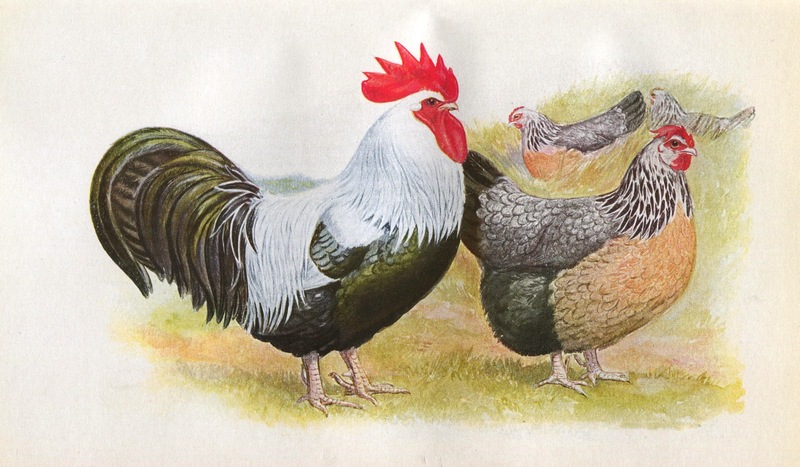 I find the coop furnishings a bit egg-cessive, but at least Neiman Marcus makes a $3,000 donation to the American Livestock Breeds Conservancy when you buy a mini-farm. 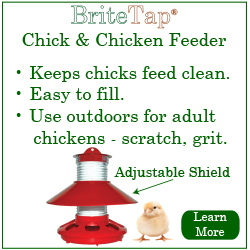 At $100,000 you think they would throw in a BriteTap waterer. If you think they should, like the post or leave a comment. 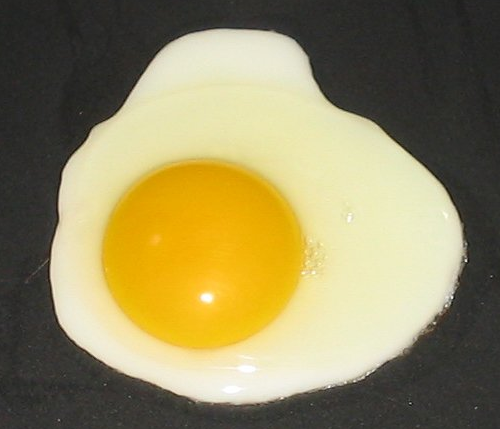 Many of you will undoubtedly know the "Incredible, Edible Egg" advertising campaign created by the American Egg board. The campaign is turning 35 years old this year and so the Egg Board has decided to launch a new version of their iconic Incredible, Edible Egg jingle. Click to hear the new jingle. And for those of you that have talent as well as chickens, the Egg Board is sponsoring a jingle contest where you can win a variety of cool prizes like an iPhone if you submit a video of yourself singing the new jingle. You can enter the contest by going to the Egg Board's Facebook page. Here at ChickenWaterer.com, our singing skills are rather modest so don't you won't find us singing the jingle on YouTube. We'll stick to making chicken waterers and be contented. Martha Stewart, home economics diva, has kicked off her latest series, Martha Stewart's Cooking School, with a segment on how to cook eggs. Martha provides step-by-step instructions for cooks showing them how to prepare fried eggs, omelets, frittatas, etc. While I normally don't think of eggs as particularly hard to cook, there are lots of younger folks who have forgotten how to make even simple dishes. 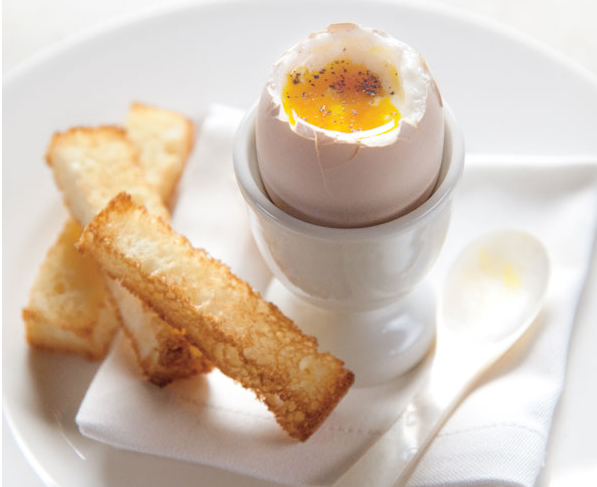 Since the egg is an almost perfect food source, it makes sense to begin the series on this most versatile of foods. A clip from the show is provided below. According to a report in today's New York Times, tests on eggs taken from backyard chickens in New York City's public neighborhood gardens showed higher levels of lead than store-bought eggs. While the cause of the problem is not certain, however, researchers suspect it might result from higher lead levels in the soils where the chickens live. To read this story in full, check out the the NY Times article, Worries About Lead for New York City's Garden-Fresh Eggs. If you have a concern about lead, you can have your soil tested for lead and other heavy metals. We had our garden area tested several years ago as part of a broader test to understand how to amend the soil to improve its productivity. The service we used is Timberleaf soil testing. A lead test costs $39. You can perform similar tests for cadmium, chromium and nickel for $39 each and arsenic for $66. Peeling a really fresh hard boiled egg can be a challenge. We recently came across a "no peel" method on the NoBiggie blog site that suggested cutting through the shell and scooping out the egg with a spoon. NoBiggie suggest that it's a good method when preparing deviled eggs since they are going to be cut in half anyway. This method is in fact easier than trying to hand peel an egg. However, it can leave the outside of the egg in somewhat tattered condition. If you are planning on serving your deviled eggs to company, cutting through the shell with a knife may not be the way to go. 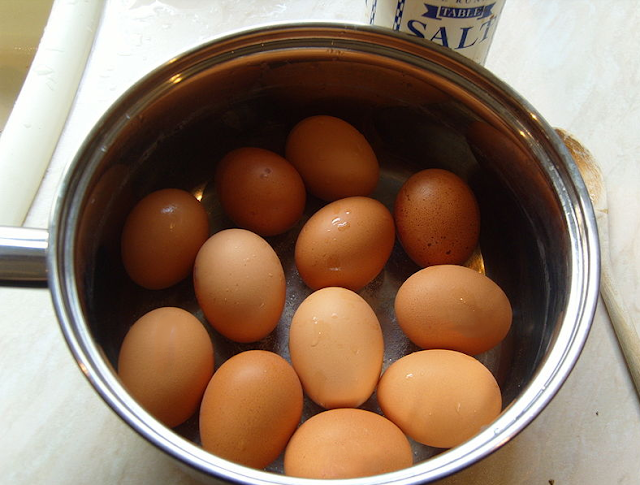 We think the technique is actually better for egg salad because the eggs get chopped up so the appearance of the peeled egg is not important. Have your own special way to easily peel an egg? Leave a comment and let everyone know your secret. Feathers help birds maintain their body temperature and repel water. Like human hair, feathers are made from dead cells. Over time, feathers can break or the cells from which they are made wear down. When this occurs, a chicken's feathers don't function as effectively. As a result, chickens need to periodically shed their old, worn-out feathers and replace them with new ones. The process is called molting and generally occurs in the late summer and early fall. 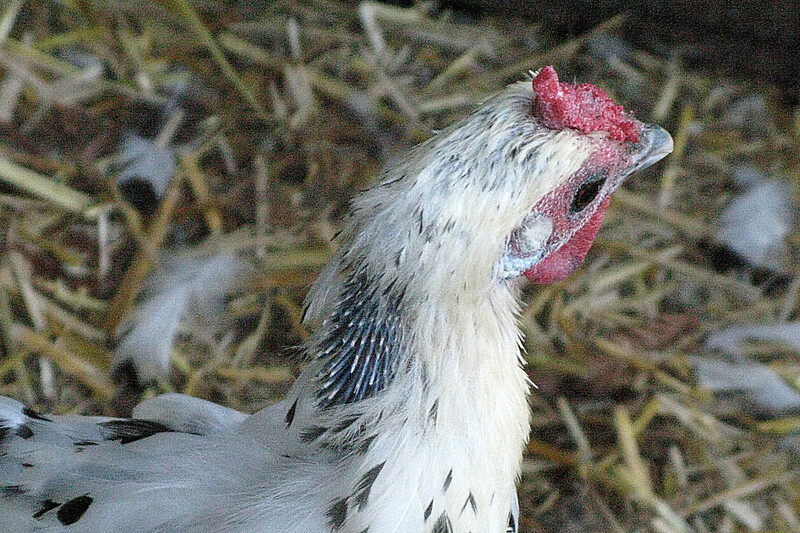 Feathers are 85% protein, so during molting, chickens need to divert a substantial portion of their energy resources from egg laying to feather production. 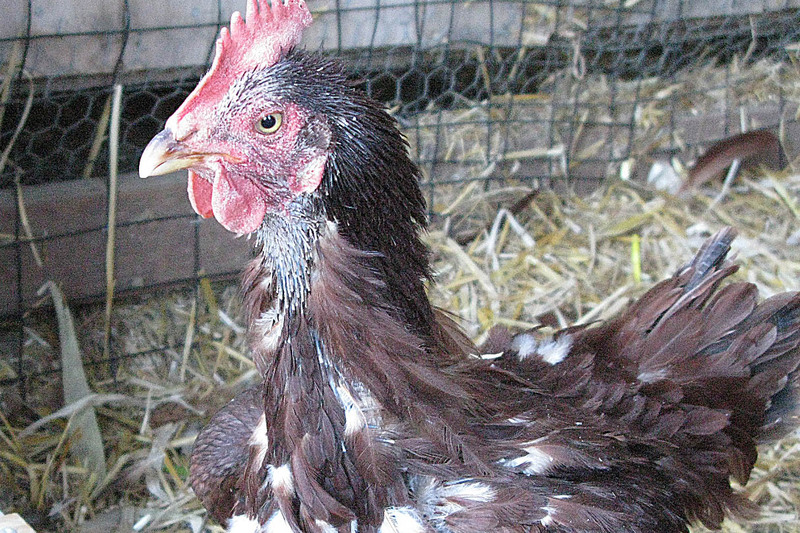 This is why during periods of molting, egg laying declines or stops entirely. The time required to molt varies widely from bird-to-bird, but 2-3 months is fairly typical. Increase protein in your chicken's diet. The easiest way to do this is to switch to a higher protein formulation like those sold for broilers or game birds. These are normally 20-22% protein versus layer formulations that are 16-18% protein. Alternatively, you can provide small quantities of other protein rich foods. 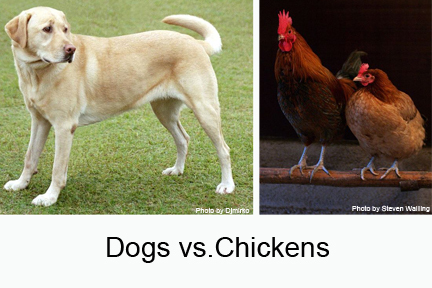 Many chicken owners supplement with hard boiled eggs, cat food, or tuna fish. (Our lucky flock got treated to left over grilled salmon this week.) 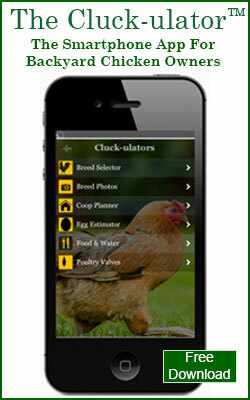 During molt periods you should also cut back on scratch as this is normally lower in protein. Lower stress - Since molting is a stressful period for a chicken, it makes sense to keep additional stressing factors to a minimum. Don't introduce new birds to the flock during a molt or change your birds living quarters.